“I can tell stories in a single panel. That’s important for a cover. 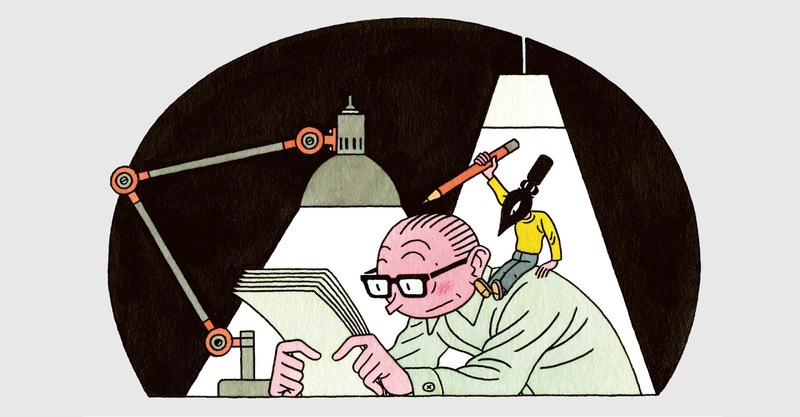 In one drawing, it should be clear what the story is inside.” Joost Swarte is used to making the most out of small spaces. In fact, the Dutch cartoonist, designer and architect has spent most of his professional career working within certain borders – whether that be for buildings, on designs for stained glass windows or inside the panels of comic books. Most notably, added to this is a significant body of work for The New Yorker that now forms the basis of his very own publication, New York Boek. Chronicling over twenty years’s worth of drawings for the weekly magazine, the book contains over 450 documents, from previously unseen sketches all the way through to finished covers and spot illustrations.